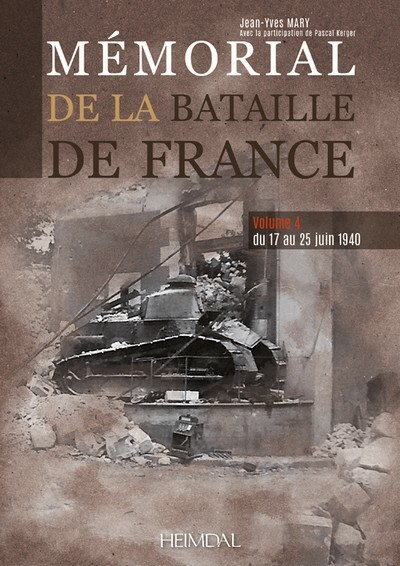 Coverage Released June 17, 1940: While the French Army, in accordance with the orders given by Weygand on June 13, is in full retreat to the south-west and the Germans who perceived the amplitude of the movement are in pursuit of it, according to Hitler's directive of June 14, "Destroying the French Army," the new head of government, Marshal Petain delivers a broadcast speech in which he drops this unfortunate sentence: "We must stop fighting". A clumsiness that the Germans will try to exploit to bring French troops to surrender.This will not prevent what Roger Bruge called "The Fighters of June 18" courageously continue the fight south of the Loire, along the Marne-Rhine canal or the Maginot line. It will be the same on the front of the Alps which will see the failure of all the Italian attempts to arrogate the right to claim territories conquered during the armistice negotiations. It is the last eight tragic days of this campaign that this book proposes to revive, as well as the lessons to be learned from these ultimate struggles.